Toshiba TEC Europe (TERIS), a provider of point-of-sale, printing, software information, and other systems, has announced a strategic alliance with Nordic ID, a producer of handheld terminals and computers for retail and industrial applications. The alliance, focused on the European market, will offer wireless and mobile telecommunications solutions for retail, manufacturing, health care and warehousing and security industries. The alliance hopes to optimize the integration of emerging technologies like RFID with existing standard communications systems. 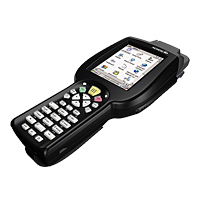 As an initial product of the partnership, RFID-ready bar code printers from TERIS’s Auto ID & Printer Division are being jointly offered with Nordic ID’s barcode and UHF RFID mobile devices. Representatives of both firms expect the alliance to result in significant savings and increased efficiencies for joint customers. TERIS is an independently operating subsidiary of the Toshiba Corporation, headquartered in Brussels, Belgium. Nordic ID, based in Salo, Finland, has grown from a small engineering firm to supply a wide array of clients with wireless and mobile telecommunications technology.